Five converging global trends – geo-awareness, geo-enablement, geotechnologies, citizen science, and storytelling– are combining to offer GIS output and GIS professionals a world audience. Issues central to GIS professionals are now part of the global consciousness. Everyday objects are rapidly becoming locatable, and thus able to be monitored and mapped. Many tools and data sets that were formerly used and examined only by GIS analysts are now in the hands of the general public. Ordinary citizens are becoming involved in contributing data to the scientific community. Multimedia and cloud-based GIS have greatly multiplied the attraction that maps have had for centuries to tell stories. But despite these trends bringing opportunity to geography, is geoliteracy becoming increasingly valued? How can educators, researchers, and GIS practitioners seize the opportunity that these trends seem to present to actively promote core content knowledge, GIS skills, and the spatial perspective throughout education and society? Joseph Kerski is a geographer who believes that spatial analysis with mapping and geotechnologies can transform education and society through better decision-making using the geographic perspective. He holds three degrees in Geography. He served for 22 years as geographer and cartographer at NOAA, the US Census Bureau, and the US Geological Survey. He teaches online and face-to-face courses at primary and secondary schools, through MOOCs, and universities such as Sinte Gleska University, Elmhurst College, and the University of Denver. Since 2006, he has served as Education Manager for Esri, with emphasis on thought leadership in geospatial technologies in formal and informal education at all levels, internationally. 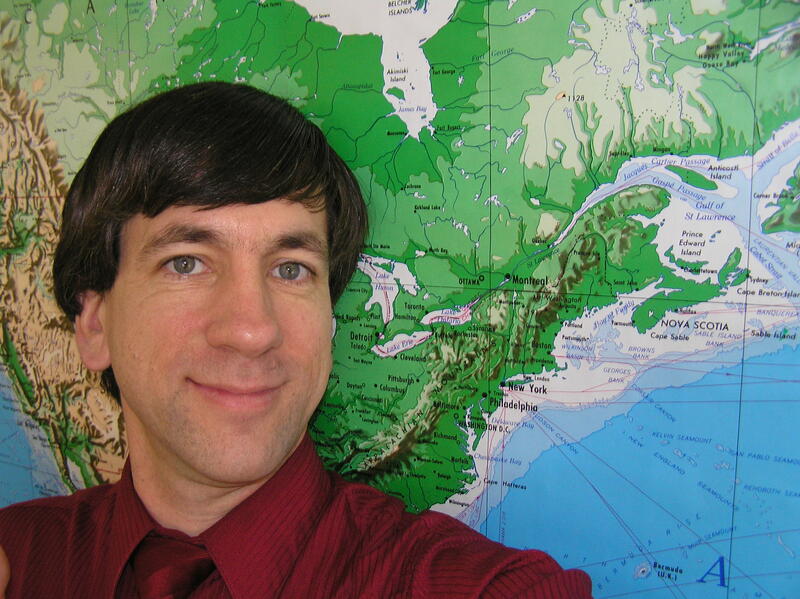 He focuses on GIS-based curriculum development, research in the effectiveness of GIS in education, professional development for educators, communication about the need for geographic skills, tools, and perspectives through keynote addresses, articles, social media, and workshops, and fostering partnerships to support GIS in education. Joseph is active in creating and teaching online courses in spatial thinking and geotechnologies. He has written books such as Spatial Mathematics, International Perspectives on Teaching and Learning with GIS in Secondary Schools, The Essentials of the Environment, Tribal GIS, and The GIS Guide to Public Domain Data.